The authors review the risk factors for rotator cuff failure and provide advice on what orthopaedic surgeons can do to optimize surgical results. 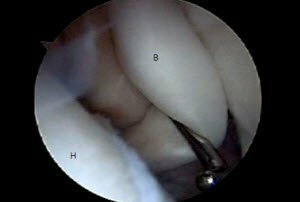 Surgical techniques to address rotator cuff tears have evolved over the past decades from open to arthroscopic repairs. 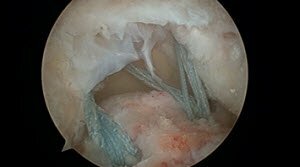 No definitive clinical studies comparing open versus arthroscopic treatment exist; however, arthroscopic treatment has the theoretical advantage of being able to evaluate and address the glenohumeral joint, as well as minimize soft tissue dissection. The literature describes a host of factors that contribute to rotator cuff failure. Surgeons should understand the pre-, intra- and postoperative factors that contribute to rotator cuff healing. This will help in managing patient’s expectations and improving outcomes. The goal of this article is to review the risk factors for rotator cuff failure and provide advice on how to optimize surgical results. 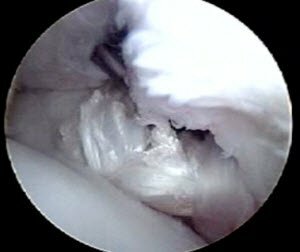 Successful treatment of rotator cuff tears hinges on identifying the sources of the patient’s symptoms. 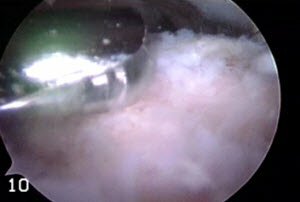 The presence of a rotator cuff tear on preoperative imaging or arthroscopy does not ensure that treatment of the cuff tear will address the patient’s complaints. Other causes of shoulder pain should be evaluated before surgical intervention is undertaken. Preoperative MRI assessment of a rotator cuff tear can be used to predict the likelihood of healing. The goal of rotator cuff surgery is to anatomically restore the rotator cuff to its insertion in a tension-free fashion. While there are multiple strategies for accomplishing this goal, we have found the following strategies to be useful in our clinical practice. 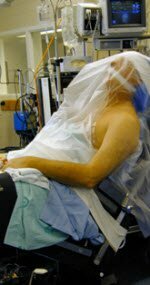 Double-row and transosseous fixation have demonstrated higher initial fixation compared with single-row techniques in cadaveric experiments. However, clinical outcomes in randomized trials comparing double-row and single-row techniques have demonstrated equivalency. Single-row fixation is adequate for small- to medium-sized rotator cuff tears. The transosseous equivalent technique should be used for larger tears. Figure 3. Tear configuration: A, crescent tear; B, U-shaped tear; C, L-shaped tear. 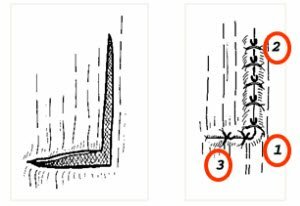 Consider using the bur on reverse to minimize bone resection. Figure 5. After ablation of the soft tissue on the greater tuberosity with a radiofrequency device, the footprint is gently decorticated with an arthroscopic burr. Consider using the burr on reverse to avoid aggressive bone resection. Figure 6. Anchor placement: Dead man’s angle is at 45° to the tangent of the greater tuberosity. Figure 7. 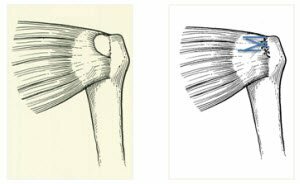 Biceps tendon demonstrates medial instability with probe (B = biceps tendon; H = humeral head). Figure 8. Posterolateral tip of the coracoid is liberated of all soft tissue with radiofrequency ablation device (C = coracoid). Figure 9. Anchor is placed at the superior margin of the subscapularis footprint. Figure 11. 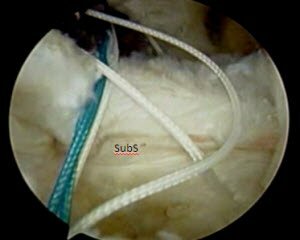 PDS suture is used to shuttle non-absorbable suture through subscapularis tendon (SubS = subscapuarlis). Figure 12. Repaired subscapularis tendon. Figure 13. Crescent-type tear repair strategy. Figure 14. Transosseous equivalent repair. Two medial row anchors are placed just lateral to articular margin (GT = greater tuberosity). Figure 15. Transosseous equivalent repair. Sutures from medial row are passed through medial aspect of supraspinatus, lateral to musculotendinous junction. Figure 16. Transosseous equivalent repair, placement of lateral row. One suture end from each of the medial anchors is placed through an interference screw and placed lateral to the posterior medial anchor. Figure 17. Completed transosseous equivalent repair. Figure 18. U-shaped tear repair strategy. Begin with anterior to posterior sutures. The lateral tendon edge is then repaired to the greater tuberosity. Figure 19. L-shaped tear repair strategy. Begin with an anchor placed at the elbow of the tear (if possible). Then perform side-to-side repair in medial to lateral fashion. Finally, repair lateral tendon edge to greater tuberosity. Figure 20. Margin convergence, repair of U-shaped tear. Penetrating suture passing device used to pass non-absorbable suture from posterior to anterior. Figure 21. Both ends of suture brought out through lateral cannula and tied (H = humeral head). Figure 22. Subsequent suture passage is performed lateral to first suture, again from a posterior to anterior direction. Figure 23. Final side-to-side repair demonstrates three side-to-side sutures. The lateral leaf of the cuff can be subsequently fixed to the greater tuberosity with single or double row anchor repair (GT = greater tuberosity). Benjamin G. Bruce, MD, is an orthopaedic surgeon in Providence, Rhode Island. Brian J. Cole, MD, MBA, is Professor, Department of Orthopedics, Rush Medical Center, Chicago, Illinois. 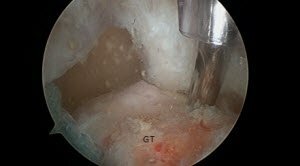 Galatz, L. M., Ball, C. M., Teefey, S. A., Middleton, W. D. & Yamaguchi, K. The outcome and repair integrity of completely arthroscopically repaired large and massive rotator cuff tears. J. Bone Joint Surg. Am. 86-A, 219–224 (2004). 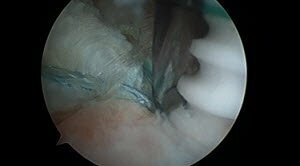 Cho, N. S. & Rhee, Y. G. The factors affecting the clinical outcome and integrity of arthroscopically repaired rotator cuff tears of the shoulder. Clin. Orthop. Surg. 1, 96–104 (2009). Boileau, P. et al. 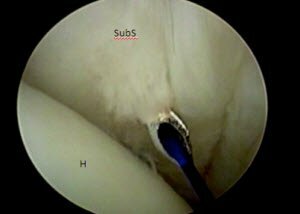 Arthroscopic Repair of Full-Thickness Tears of the Supraspinatus: Does the Tendon Really Heal? J. Bone Jt. Surg. 87, 1229–1240 (2005). Harryman, D. T., 2nd et al. Repairs of the rotator cuff. Correlation of functional results with integrity of the cuff. J. Bone Joint Surg. Am. 73, 982–989 (1991). Gazielly, D. F., Gleyze, P. & Montagnon, C. Functional and anatomical results after rotator cuff repair. Clin. Orthop. 43–53 (1994). Chung, S. W., Oh, J. H., Gong, H. S., Kim, J. Y. & Kim, S. H. Factors Affecting Rotator Cuff Healing After Arthroscopic Repair Osteoporosis as One of the Independent Risk Factors. Am. J. Sports Med. 39, 2099–2107 (2011). Sugaya, H., Maeda, K., Matsuki, K. & Moriishi, J. Repair integrity and functional outcome after arthroscopic double-row rotator cuff repair. A prospective outcome study. J. Bone Joint Surg. Am. 89, 953–960 (2007). 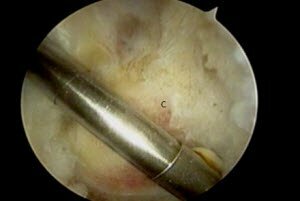 Tauro, J. C. Stiffness and Rotator Cuff Tears: Incidence, Arthroscopic Findings, and Treatment Results. Arthrosc. J. Arthrosc. Relat. Surg. 22, 581–586 (2006). Lapner, P. L. C. et al. A multicenter randomized controlled trial comparing single-row with double-row fixation in arthroscopic rotator cuff repair. J. Bone Joint Surg. Am. 94, 1249–1257 (2012). Nho, S. J. et al. Prospective analysis of arthroscopic rotator cuff repair: Prognostic factors affecting clinical and ultrasound outcome. J. 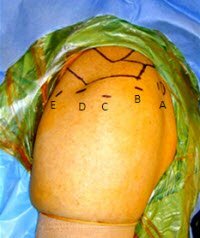 Shoulder Elbow Surg. 18, 13–20 (2009). Sherman, S. L., Lyman, S., Koulouvaris, P., Willis, A. & Marx, R. G. Risk factors for readmission and revision surgery following rotator cuff repair. Clin. Orthop. 466, 608–613 (2008). Neyton, L. et al. 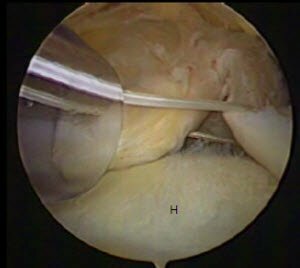 Arthroscopic suture-bridge repair for small to medium size supraspinatus tear: healing rate and retear pattern. Arthrosc. J. Arthrosc. Relat. Surg. Off. Publ. Arthrosc. Assoc. North Am. Int. Arthrosc. Assoc. 29, 10–17 (2013). Carbone, S. et al. The impact of preoperative smoking habit on rotator cuff tear: cigarette smoking influences rotator cuff tear sizes. J. Should. Elb. Surg. Am. Should. Elb. Surg. Al 21, 56–60 (2012). Salata, M. J. et al. Biomechanical evaluation of transosseous rotator cuff repair: do anchors really matter? Am. J. Sports Med. 41, 283–290 (2013). Tudisco, C. et al. 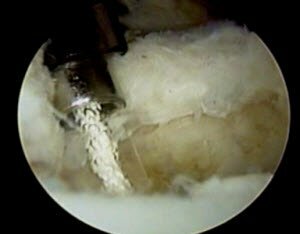 Single-row vs. double-row arthroscopic rotator cuff repair: clinical and 3 Tesla MR arthrography results. BMC Musculoskelet. Disord. 14, 43 (2013). Mihata, T. et al. Functional and structural outcomes of single-row versus double-row versus combined double-row and suture-bridge repair for rotator cuff tears. Am. J. Sports Med. 39, 2091–2098 (2011). Park, J.-Y. et al. 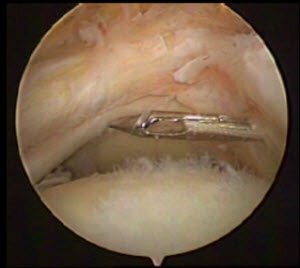 Comparison of the clinical outcomes of single- and double-row repairs in rotator cuff tears. Am. J. Sports Med. 36, 1310–1316 (2008). Burkhart, S. S., Johnson, T. C., Wirth, M. A. & Athanasiou, K. A. Cyclic loading of transosseous rotator cuff repairs: tension overload as a possible cause of failure. Arthrosc. J. Arthrosc. Relat. Surg. Off. Publ. Arthrosc. Assoc. North Am. Int. Arthrosc. Assoc. 13, 172–176 (1997). Lo, I. K. . & Burkhart, S. S. The interval slide in continuity: a method of mobilizing the anterosuperior rotator cuff without disrupting the tear margins. Arthrosc. J. Arthrosc. Relat. Surg. 20, 435–441 (2004). Weber, S. C., Kauffman, J. I., Parise, C., Weber, S. J. 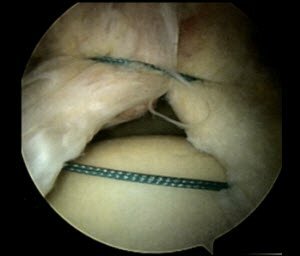 & Katz, S. D. Platelet-rich fibrin matrix in the management of arthroscopic repair of the rotator cuff: a prospective, randomized, double-blinded study. Am. J. Sports Med. 41, 263–270 (2013). Barber, F. A., Hrnack, S. A., Snyder, S. J. & Hapa, O. Rotator cuff repair healing influenced by platelet-rich plasma construct augmentation. Arthrosc. J. Arthrosc. Relat. Surg. Off. Publ. Arthrosc. Assoc. North Am. Int. Arthrosc. Assoc. 27, 1029–1035 (2011). Castricini, R. et al. Platelet-rich plasma augmentation for arthroscopic rotator cuff repair: a randomized controlled trial. Am. J. Sports Med. 39, 258–265 (2011). Iannotti, J. P. et al. 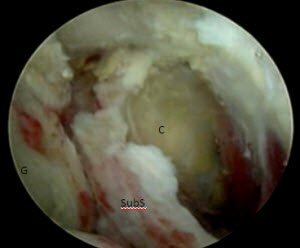 Porcine small intestine submucosa augmentation of surgical repair of chronic two-tendon rotator cuff tears. A randomized, controlled trial. J. Bone Joint Surg. Am. 88, 1238–1244 (2006). Barber, F. A., Burns, J. P., Deutsch, A., Labbé, M. R. & Litchfield, R. B. 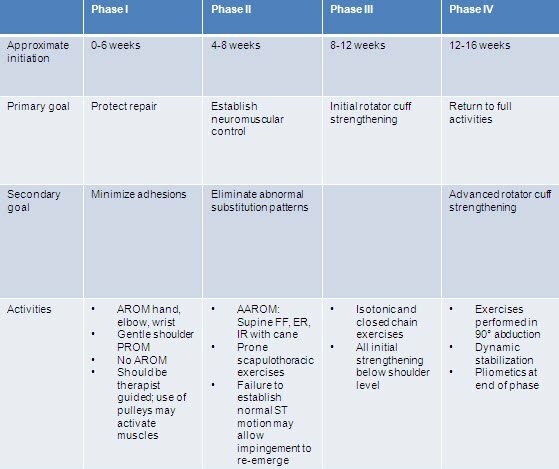 A prospective, randomized evaluation of acellular human dermal matrix augmentation for arthroscopic rotator cuff repair. Arthrosc. J. Arthrosc. Relat. Surg. Off. Publ. Arthrosc. Assoc. North Am. Int. Arthrosc. Assoc. 28, 8–15 (2012). Bond, J. L., Dopirak, R. M., Higgins, J., Burns, J. 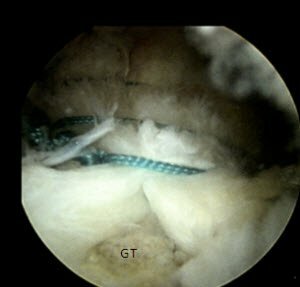 & Snyder, S. J. Arthroscopic replacement of massive, irreparable rotator cuff tears using a GraftJacket allograft: technique and preliminary results. Arthrosc. J. Arthrosc. Relat. Surg. Off. Publ. Arthrosc. Assoc. North Am. Int. Arthrosc. Assoc. 24, 403–409.e1 (2008). Gupta, A. K. et al. 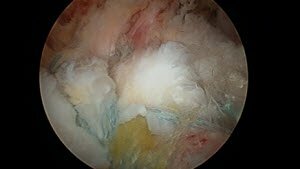 Dermal tissue allograft for the repair of massive irreparable rotator cuff tears. Am. J. Sports Med. 40, 141–147 (2012). Cuff, D. J. & Pupello, D. R. Prospective randomized study of arthroscopic rotator cuff repair using an early versus delayed postoperative physical therapy protocol. J. Shoulder Elbow Surg. 21, 1450–1455 (2012). Parsons, B. O. et al. Does slower rehabilitation after arthroscopic rotator cuff repair lead to long-term stiffness? J. Should. Elb. Surg. Am. Should. Elb. Surg. Al 19, 1034–1039 (2010). Cuff, D. J. & Pupello, D. R. Prospective evaluation of postoperative compliance and outcomes after rotator cuff repair in patients with and without workers’ compensation claims. J. Should. Elb. Surg. Am. Should. Elb. Surg. Al 21, 1728–1733 (2012). Next articleFixed- vs. Mobile-Bearing Implants in UKA: Is One Better than the Other?